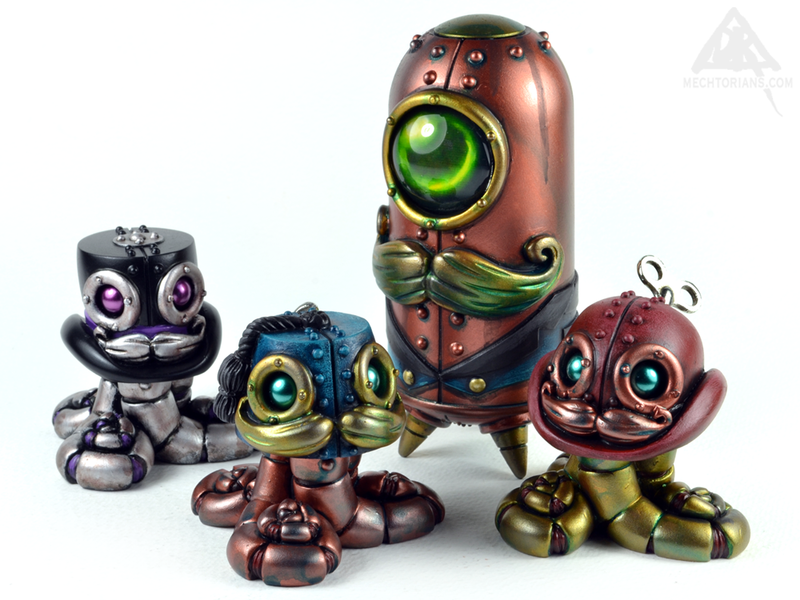 For ToyCon UK I have created a very limited hand painted edition of just 10 pieces of each of the three Tall Titfer characters. There is the Black & Silver “Mourning” Topper, Burgundy Red Bowler and Teal Fez. Each will be only £55. 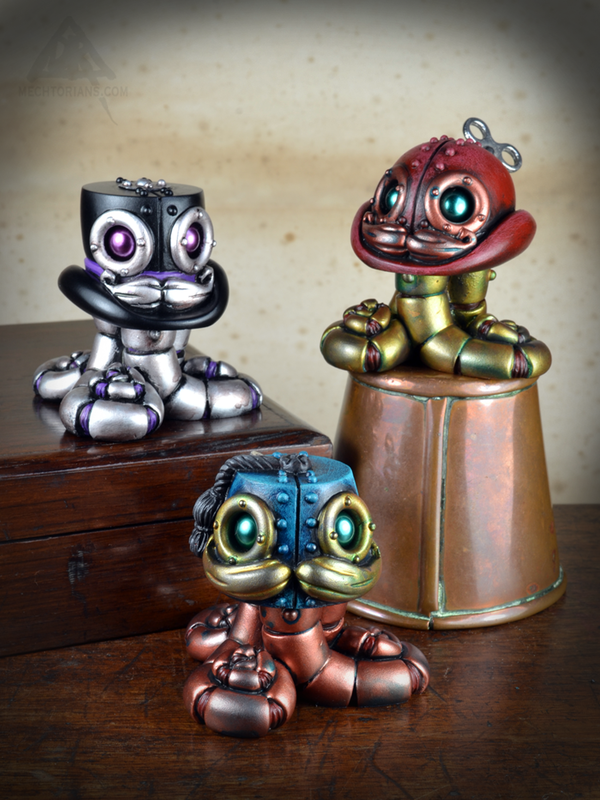 Toycon UK 2019 sees the launch of a new edition of the handmade resin Mechtorian figure Cymon Clops. 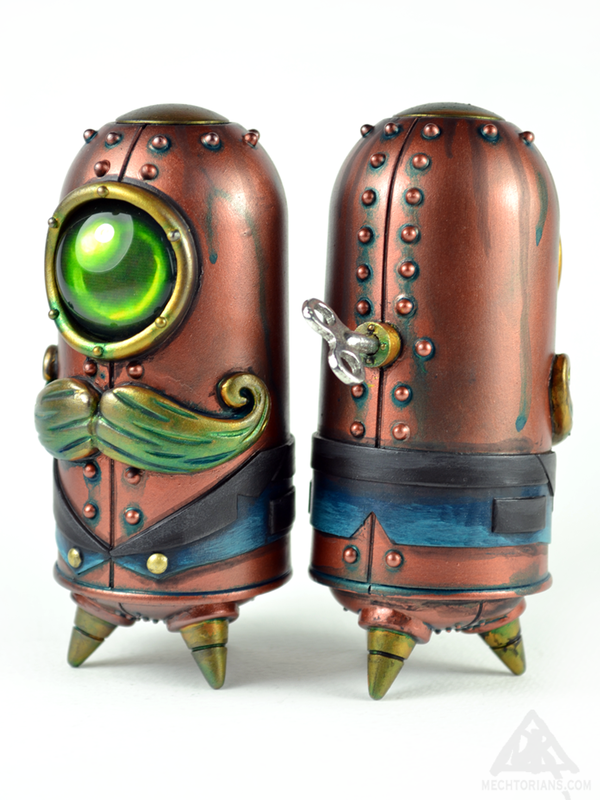 The 4″ tall figure has an inset glass eye and comes with a real metal winding key. 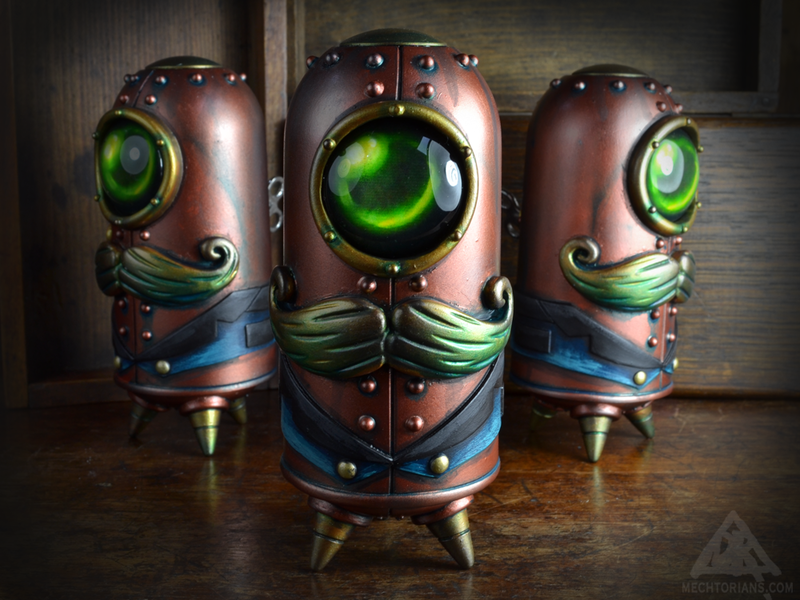 The edition size for this new Copper and Teal version is only 8 pieces. Any items remaining after the show will be made available on my online store.